It's raining today so it's a good day for working on crafts like these adorable baby quilts. They are fast and easy to make and are perfect for a beginning quilter. 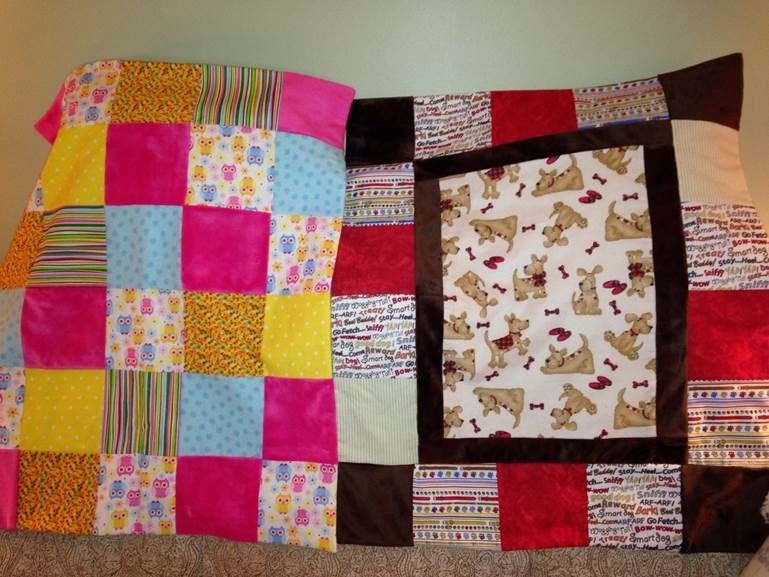 Julie M. recently shared pictures of the Baby Quilts she completed with kits from Weekendkits.com. Thank you Julie! The quilts came out so well I couldn't wait to share your handiwork here on the blog! I love your weekend kits! They were so much fun to make, and the moms-to-be loved receiving them. Here’s a picture of the ones I made. Not bad for a first-time quilter!
" I always enjoy seeing others' work, especially if I'm considering trying something new. These kits made it so easy for a beginner that now, I'm making quilted purses! Julie thanks again for sharing your work! It is so inspiring to see what crafts you are working on and I am so pleased to hear that you found these baby kits easy to make. How exciting that these quilts gave you the confidence to continue quilting! At weekendkits.com, we offer several styles of quilt kits to make Lap Quilts, Wall Quilts, Christmas Quilts, and Baby Quilt Kits for both beginner and more advanced quilters. All our kits are carefully selected to provide you with the quality materials you need to create something you will be proud to share! We have even put together a detailed Beginner How-To-Quilt Tutorial Series to teach you step-by-- step how to make one of these charming baby quilts! I hope Julie has inspired you to try one of our quilt kits and to share pictures of the any of the kits you are making from Weekendkits.com. Please e-mail your photos and comments to me! I would love to share photos of your work here on the blog. Let's spread the Crafting Love around! Spring Into a New Project! Spring has arrived in New England and I must say we are all happy to see the sun! I am always energized when spring arrives and it is my favorite time to start new projects! Annie just finished this easy sew kit from our Weekendkits.com collection of Stuffed Animal Characters to Sew and was pleased to show us the results! 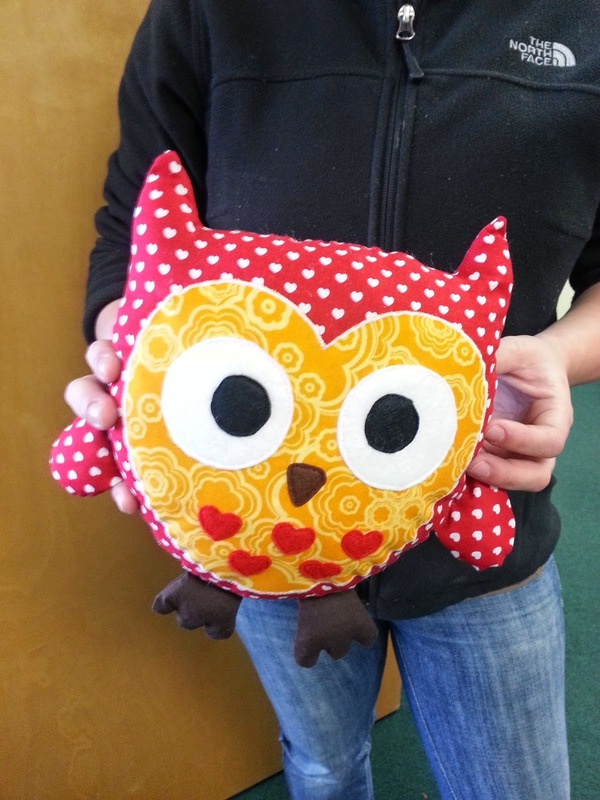 This adorable Happy Owl is just one of the wonderfully whimsical characters to sew from designer Mariska Vos-Bolman. Mariska resides in the Netherlands and creates her characters under the brand DIY Fluffies. We are pleased to be able to bring you her kits and patterns direct from her studio from across the sea! Mariska's sense of design, her choice of fabrics and well written instructions make these kits as much fun to make as the finished product is to enjoy! This kit for the Happy Owl is rated a beginner kit. 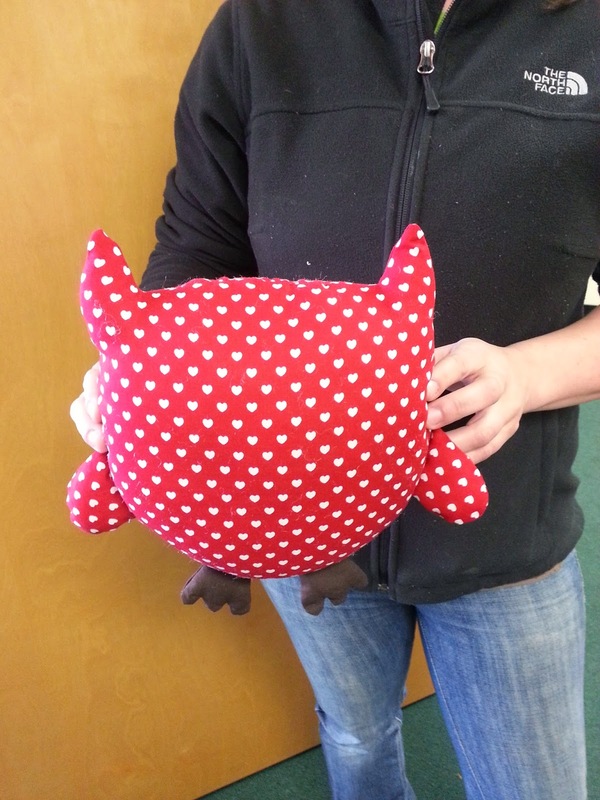 Annie says "I am a beginner when it comes to sewing. This kit was easy to make. The only challenging part was sewing on the small felt hearts and nose. I just went slow and took it stitch by stitch on my machine for this part and then the rest went very easily! Annie did a great job and is quite proud of her new creation! We would love to see pictures of what you create from our kits so please, send us photos! 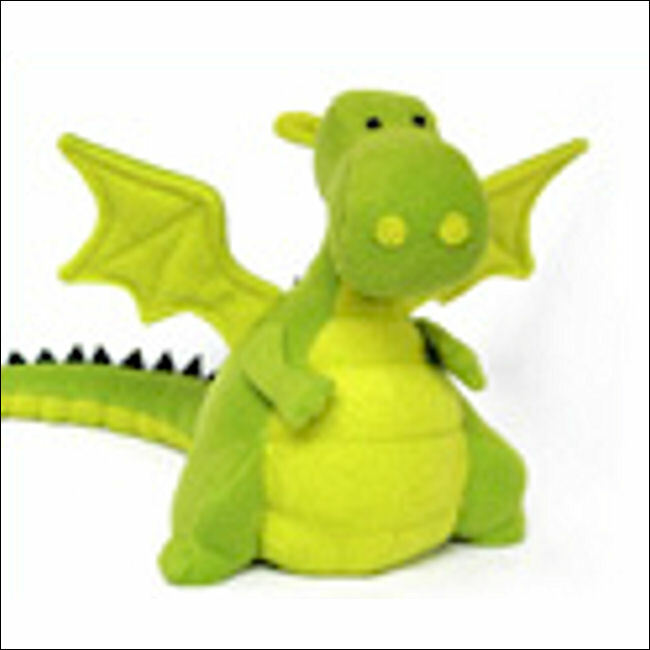 We offer a wide selection of kits from DIY Fluffies including Yoki the Fat Dragon shown here in Green but also available in Pink, Purple, and soon to be released in Blue! 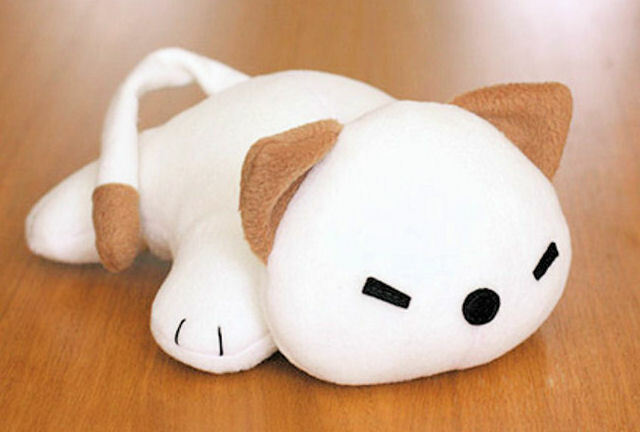 Cute Kitty would be an adorable friend for any cat lover! Cut Penguins are easy to make and who could resist them! The pink girl comes with a flower for her hair and the soon to be released black little man has a companion fish! Watch for him to be released in the next week. 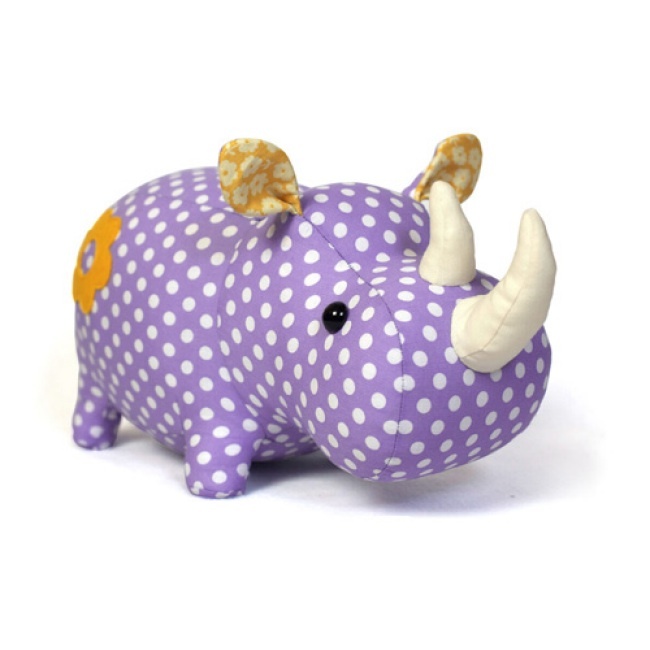 Purple Polka Dots show off this adorable stuffed Rhino. This kit is rated intermediate and will be a snap for those with just a bit of sewing experience. I have just received a shipment of brand new characters from Markiska in the Netherlands so watch the website over the next few weeks to see them posted. I will also be adding the patterns for each of these characters. 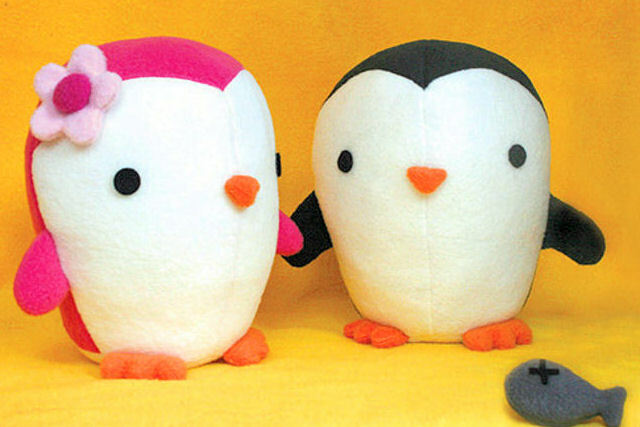 If you prefer to choose your own fabrics, you will now be able to purchase just the pattern for these adorable friends! Happy Spring and let's get sewing!